The image of this gown speaks volumes! Flowers and cascading ruffles create this show stopping, ultra-feminine dress. 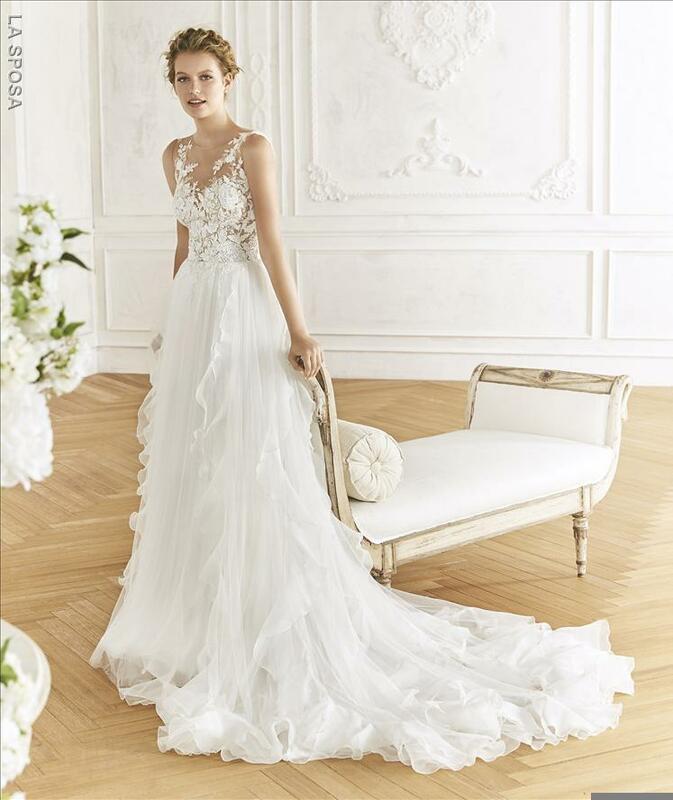 The Batista gown is full of unique details that come together to enhance the silhouette and stylise the figure. The soft tulle skirt in cascading organza ruffles is so dreamy and compliments the bodice beautifully. 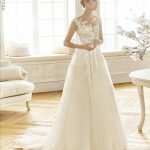 The bodice is tulle, with an illusion neckline and back, covered with Chantilly appliqués and thread and rhinestone embroidery.